ZAMBOANGA CITY, Philippines (Mindanao Examiner / May 9, 2011) – A Malaysian national who travelled to the southern Philippines to buy geckos was kidnapped by gunmen on the island of Sulu where security forces are battling militants linked to Al-Qaeda and Jemaah Islamiya. The Philippine military said it is still verifying the reports that Mohammad Nasaruddin Bensaidin was seized over the weekend by 10 gunmen in the village of Kajatian in Indanan town. It said the 38-year old man arrived late last month from Kuala Lumpur and has been living in a house in Indanan town. Local radio reports said the foreigner was seized by suspected Abu Sayyaf militants whose group is also holding a kidnapped Sulu restaurateur Nelson Lim. The gunmen have demanded P5 million ransoms for his safe release. “Authorities are still trying to verify this report,” said Army Lieutenant Colonel Randolph Cabangbang, a regional military spokesman. Local town officials were not immediately available to comment on the reports. 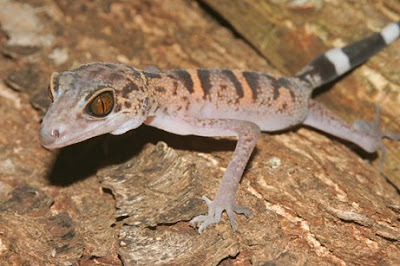 Selling and buying of geckos in the Philippines is illegal and a violation of the Wildlife Resources Conservation and Protection Act of 2001. Geckos are hunted in many parts of the country because of its huge demand in Malaysia where the lizard is highly priced and sold as pet. It is also believed by many Filipinos to cure asthma and cancer.